Dropping into a relaxed alpine area located on ______________ Mountain. At the urging of one of our guests, we sought the guidance of our insurer, hoping really for a quote on a rider to our existing policy — one allowing us to lead backcountry skiing tours on Alpine Touring or AT gear. We were under the impression this activity wasn’t one of our covered activities. As it turns out we cannot teach downhill skiing in the front country but they have no problem with our leading tours in the backcountry, including ravines, alpine areas, gullies, as well as CCC trails like the Sherbie. To be clear, they even confirmed it in a letter. Yes. Skinning, backcountry safety, preparedness, Nordic and Alpine Touring… all covered. 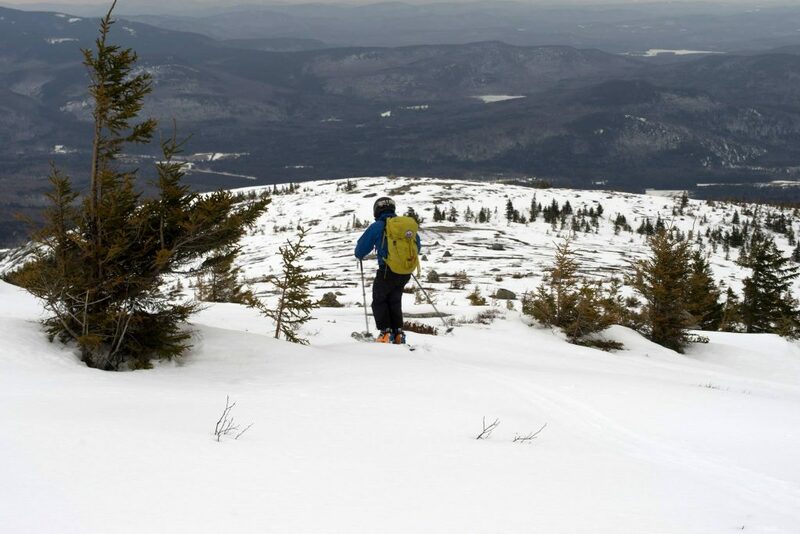 We updated our backcountry ski-related offerings to reflect this change. 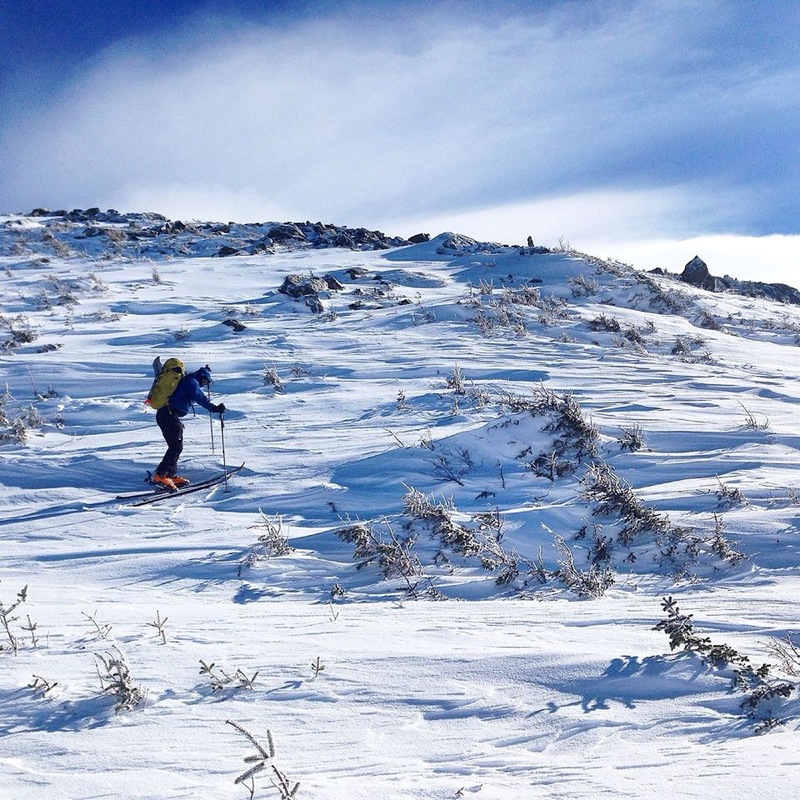 Updated: [Education] Backcountry Skiing Intro …Learn it! Updated: [Adventures] Backcountry Skiing …Do it! Skinning a tricky area on our beloved Mt _______________. 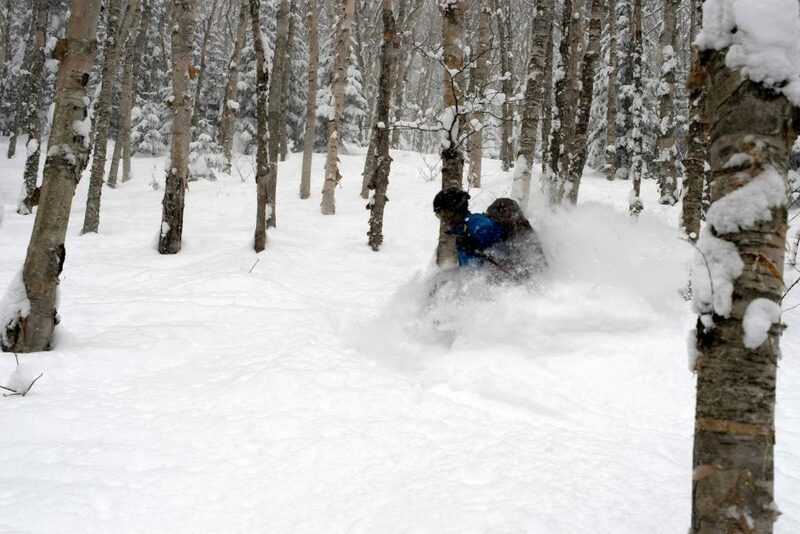 Thigh deep powder in the birch glades on Mt ________________. Woohoo!